Warning: this body has interchangeable lenses but they are only the half of the lens. The other half is integrated in the body. The Heligon cannot be used on digital cameras. The body works only with Rodenstock add-on lenses and it is not compatible with Schneider add-on lenses. Payments by PayPal, The prices above include the Paypal taxes. International priority shipping including a tracking number for small packets 1-2Kg is Europe - 16,10 EUR, World - 19,17 EUR, and it takes 2-3 weeks for most destinations. great camemra, fabulous price. this is a piece of history with IQ that will surprise and delight! Received similar few days ago. See what bad packaging did not prevent bellow. Money refund won't make me feel better. the camera is now 45 EUR + shipping. 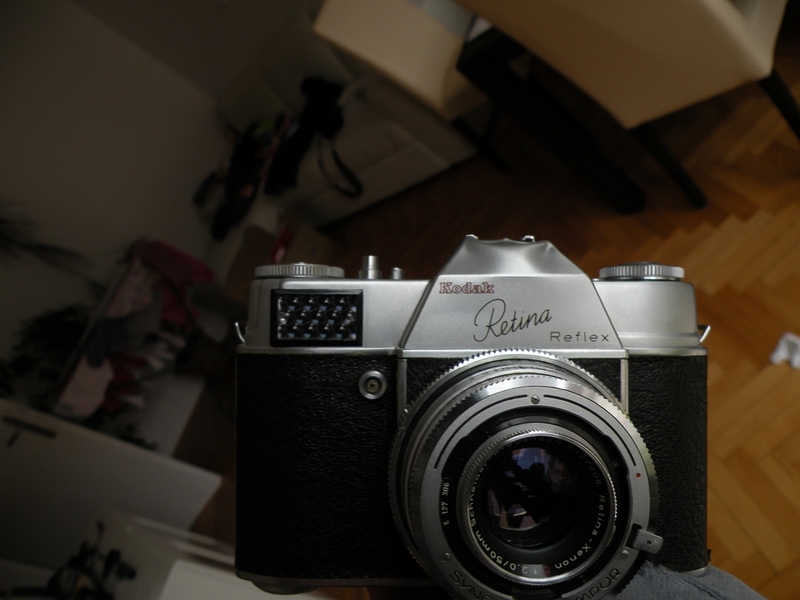 Btw i also have a mint portrait ad-on lens for the Schnider standart (Kodak Retina Longar Xenon C 80mm F:4) for 20 EUR. 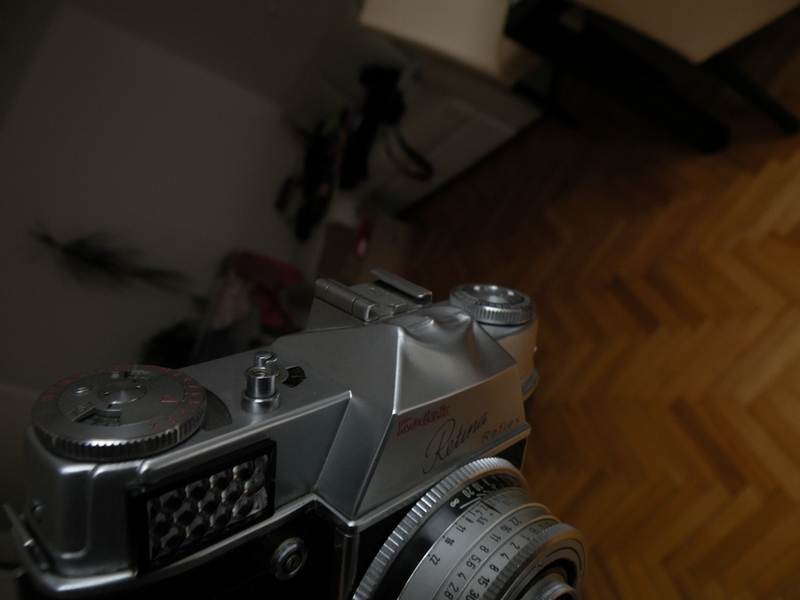 Only 39 EUR for this wonderful film camera. The only fault is some dust in the viewfinder, otherwise it is in very good condition and the lens is really nice. i cant believe no one wants this at this price! Unfortunately the lenses are not compatible with mirrorless. They are just the front groups. The camera is an leaf shutter SLR with prism and split screen. The speeds are up to 1/500 and the shutter is very quiet. Although it seems quite heavy at first sight it is actually very comfortable to handle. sorry. i edited my previous post.